For a medievalist like myself, it doesn’t get much better than Deborah Harkness’s A Discovery of Witches. Both the internationally bestselling trilogy and the newly adapted TV show have many of the conventions of a kickass fantasy story. There’s a 1,500-year-old vampire, a powerful witch who can literally make it rain, and their prophesied love story. There’s the imminent threat of the end of all creatures—demons, vampires, and witches—and the ensuing battle between good and evil. And, at the heart of A Discovery of Witches is an enchanted alchemical manuscript hidden deep within Oxford University’s Bodleian Library, Ashmole 782, and the witch who was able to call it up for the first time in 500 years. That witch is a medievalist, badass feminist, and history of science professor, Dr. Diana Bishop. The British television network SkyOne’s adaptation of the books will begin streaming in the U.S. today on Sundance Now and AMC’s Shudder. To give layfolk a sense of how dope an obscure, 15th-century alchemical manuscript can be, we’ve prepared a medievalist guide to some of its features—from the philosopher’s stone to the alchemical child and more. Where many fantasy novels are complete works of fiction, perhaps inspired by the medieval period, but not in any way historically accurate, A Discovery of Witches combines the fantastical with the academic. Deborah Harkness, the author of the series, is a history of science professor at the University of Southern California. She wrote her doctoral thesis on the history of science and magic in Europe from 1500 to 1700—the same subject her protagonist, Dr. Diana Bishop (played by Teresa Palmer in the adaptation), is researching in Oxford’s Bodleian at the outset of A Discovery of Witches. A general view of the Radcliffe Camera building, part of the Bodleian Library, in Oxford city center on February 24, 2012 in Oxford, England. Within the first few minutes of the show’s pilot episode, Diana is standing in front of a room of academics in Oxford presenting a talk on alchemy entitled Visualizing Alchemy: Allegory and Laboratory Practice in the Seventeenth Century. Soon after, she is looking at the alchemical manuscripts of 17th-century English alchemist and astronomer, Elias Ashmole, including the enigmatic Ashmole 782. Harkness has left breadcrumbs throughout her All Souls trilogy that make the story all the much richer for the medievalist fans of the series. But for those who aren’t familiar, I wanted to invite you all in on the secret. Welcome to the strange, wonder-filled world of medieval alchemy! But, in alchemy, there are no simple definitions. Just as Diana explains in her Visualizing Alchemy lecture at the onset of the TV show, alchemical ideas are both literal and metaphorical. The philosopher’s stone was believed by alchemists to be a real agent of transmutation (maybe not quite a stone, but a physical, literal substance) as well as the spiritual transmutation of the mind from baseness to enlightenment and divinity. In simplest terms, alchemy is the study of transformation, be those transformations spiritual or material. To early alchemists, especially during the medieval period, there weren’t the strict divisions between science and religion that there are today. Alchemists had their own mythologies, their own symbols, their own spiritual system to understand the world around them that drew on everything from the Egyptian god Thoth to modern conceptions of the periodic table and medieval Christianity to early chemistry experiments. Alchemists reduced the world into elements and were fascinated by opposites, and the union of those opposites, like in the androgyne, an alchemical depiction of a being embodying the union of female and male, light and dark. Alchemy has roots in ancient India, China, as well as ancient Egypt. The Egyptians likely gained an understanding of alchemical processes in mummifying bodies. In fact, the word alchemy (and chemistry too for that matter) can be traced to the Egyptian word khem, which referred to the annual flooding of the Nile. It was the Greco-Egyptian alchemist Zosimus of Panopolis, who wrote the oldest, preserved alchemical texts around 300 CE where he writes about the transmutation of metals, his different instruments, and even his careful observations of how two substances can transform into something entirely new (a basic principle of chemistry to this day). Following Alexander’s conquest of Egypt, Greek philosophers borrowed from the Egyptians and began to hone their skills as alchemists, incorporating Aristotle’s ideas of the natural world, specifically Aristotle’s understanding of the four elements of Earth, Air, Water, and Fire and their properties. After the Arabs took control of Egypt, Greek texts were translated to Arabic paving the way for Arab alchemists. In the eighth century, Arab alchemist Jabir ibn Hayyan (or Geber) became the first alchemist to mention important compounds like silver nitrate, red oxide of mercury (mercuric oxide), and corrosive sublimate (mercuric chloride). In fact, (Breadcrumb #1) there’s a “Gerbert” in A Discovery of Witches, which is perhaps a small nod to this early Arab alchemist. Alchemy came to prominence in Medieval Europe as Arab alchemical texts were translated into Latin in Spain and Southern Italy. The devastation of the bubonic plague in Europe perhaps spurred on the need for a deeper understanding of the natural world and the human body. Unfortunately for many medieval alchemists, their contemporaries didn’t always understand their experiments, and many found themselves fleeing persecution. With complex illusions to Egyptian, Greek, and Arabic myths and symbols, alchemists were conflated with sorcery and magic, and often still are today. It was an association not altogether unfounded as they danced between the physical and the metaphysical. In both the books and now the TV show, it is this dance between science and magic that draws Diana to the study of alchemy. After the death of her witch parents, Diana shuns all things magical, refusing to practice or hone her powers. Strangely enough, this is what also brings her to alchemy. She looks to alchemy to see how humanity could turn away from a world with magic to a world of science. Some 17th and 18th century alchemical equipment is shown below: 1 aludel, for condensing vapors; 2 “Moor’s Head” still; 3 clay vessel; 4 alembic, for distilling; 5 retort; 6 bronze mortar; 7 crucible. Medieval alchemy in many ways marks a transition into a new, more method-based science. Alchemists were not kitchen witches. They had specific instruments. There was the aludel (1) for condensing vapors, the alembic (4) for distilling. Alchemists developed a precise way to keep an oven set to the same exact temperature over the course of months. But, alchemists always retained their spiritual and esoteric roots. Magic cannot be untangled from alchemy, and this is something Diana comes to learn through the course of the novels as she learns to embrace her magic. If you’re counted amongst the medievalist fans of the series, then you knew that there was no escaping magic for our protagonist. Her name alone destined her for greatness. The well-breasted Alchemical figure of the Furnace of the Great Mother, associated with the goddess Diana. Frontispiece from Urban Hjärne, Actorum Chemicorum Holmensium, 1712. To the ancient Romans, Diana (or Artemis for the Greeks) was the female huntress who personified the light of the moon. She was associated with the order of the natural world. Her twin brother was Apollo, who was the Greek and Roman sun God, the god of music and creativity. To alchemists, Diana represented the Great Mother in Alchemy, the natural world from which all observations are made. Alchemical Diana is the beginning and the end, the representation of all that can be observed. Also, her twin brother, Apollo, represents the need for opposites. It’s the balance of Apollo and Diana that mirrors the alchemical understanding of the duality between dark and light, the moon and the sun. In A Discovery of Witches, Diana’s journey back to magic begins when she calls up the enchanted Ashmole 782 manuscript from the bowels of Oxford’s Bodleian Library. It’s a very ordinary scene for many medievalists—calling up manuscripts to look at in the reading room. But Ashmole 782 is no ordinary medieval manuscript. First off, it contains the origins of vampires, witches, and demons. The words on the pages have developed a strange habit of moving. And, if you haven’t guessed already, Ashmole 782 is not real, unfortunately. That said, the Ashmole manuscripts are very real. They’re named for the alchemist, astronomer, antiquarian, government official, botanist, and collector Elias Ashmole. Ashmole was born in 1617 in Breadmarket Street, Lichfield, Staffordshire to a once-wealthy, but still-prominent family. He lived a life at the intersection of modern science and alchemy. Like a true alchemist, his life was one of dualities. He was just as fascinated by the past as he was by the cutting edge of science. He made catalogs documenting the Royal coin collection as well as Oxford’s Roman coin collection. He collected natural and manmade specimens, even acquiring Powhatan’s Mantle, which belonged to Pocahontas’s father, and the stuffed body of the last dodo bird ever seen in Europe. He was also a Freemason at a time when the Freemasons had many ties to alchemy, even sharing certain esoteric symbols. He was a known alchemist, writing one of the most important alchemical texts of the 17th century, Theatrum Chemicum Britannicum, which compiled many English alchemical writings that had been previously held in only private collections. In it, Ashmole calls alchemy “a wonderful science and secret philosophy, a singular grace and gift of the almighty” (13, Ashmole, Theatrum Chemicum Britannicum). To Ashmole and his contemporary alchemists, alchemy was the pursuit of the divine, of enlightenment, yet there was also a lot of public outcry against both the Freemasons and alchemists as Satanic and heretical, largely because people didn’t understand either. Both Freemasons and alchemists were shrouded in mystery. Ashmole was also a founder of the Royal Society, which (as its website proclaims) marked the emergence “of modern science” and a historic move away from the esoteric arts of alchemy. Elias eventually donated all his manuscripts, antiques, and specimens (Powhatan’s Mantle and the stuffed dodo included) to Oxford on the condition that they build a museum to house the extensive collection. Opened in 1682, the Ashmolean Museum is considered by some historians to be the first truly public museum in Europe. Today, all the books and manuscripts of Ashmole’s original collection are housed in Oxford’s Bodleian Library. So, who knows, maybe Deborah Harkness is actually a witch and knows the true contents of the missing Ashmole manuscript—and in an attempt to secretly tell the world the truth of creatures, wrote a bestselling trilogy about the manuscript’s contents? When Diana opens Ashmole 782 for the first time in nearly 500 years, she comes across a depiction of the alchemical child. In alchemy, there are four stages to create the Philosopher’s Stone. The alchemical child represents the alchemical stage of conceptio, the second stage. The child is an androgyne to symbolize the altogether new chemical compound that’s created. In A Discovery of Witches, it’s revealed that Diana is a “chimea,” a rare condition where her DNA possesses more than one genetic profile (Harkness 470). In both the show and the books, Matthew is an accomplished geneticist and ethologist, whose written papers cover everything from wolf pack behavior to genetics. Tucked away in a high-security Oxford laboratory, Matthew and his vampire colleagues test Diana’s blood in their ongoing research into why creatures have been dying out. The results tie Diana and Matthew together as medieval alchemy and cutting edge scientific research once again intersect. The alchemical child represents the union of opposites. It also represents Diana, given her chimera genome, and also the love shared between Diana, a witch, and Matthew, a vampire. Diana and Matthew are opposites; it doesn’t really get more different than a witch and a vampire shacking up together. So, the love they share symbolizes the alchemical child, and maybe a hint at what’s to come later in the trilogy. Diana and Matthew also find one of the missing pages of Ashmole 782 that depicts another alchemical stage in creating the Philosopher’s Stone, conjunctio. Another name for conjunctio is the alchemical or sacred marriage. Before any union can produce a child, there needs to be some good ol’ bow-chicka-wow-wow, and that’s what the alchemical marriage is all about. Just like the alchemical child is an androgyne and therefore denotes the union of opposites, the alchemical marriage is a depiction of the alchemical child’s mom and dad who (as you might’ve already guessed) are opposites. There’s the female and male aspect of the alchemical marriage. The female is often referred to as the White Queen. She represents the element of Water and the Moon, Luna. The male is the Red King. He represents the element of Fire and the Sun, Sol. In chemical terms, the alchemical marriage is the union of philosophical sulfur (the female) and mercury (the male). In A Discovery of Witches, Matthew is the Red King. He is a French baron after all, and also a vampire so red seems to make sense. Diana, whose namesake is the Roman Goddess of the Moon, is Luna and the female aspect of the alchemical marriage. It’s no easy task to decipher medieval alchemy, let alone the alchemical principles hinted at in a fantasy story like A Discovery of Witches. Even for accomplished scholars like Harkness, there are still many pieces of alchemy that have been lost to time or have yet to be decoded. To medieval alchemists, the world was indeed a place of magic, of creatures, and phenomena they couldn’t understand. Perhaps our contemporary world of science and technology could do with a touch of magic, of the unknown, of the alchemist’s quest for enlightenment. I now knight thee, dear reader, a medievalist. May your world be full of wonder. Go forth and enjoy the U.S. premiere of Sky One’s A Discovery of Witches. Sarah Durn is a freelance writer, actor, maker, and medievalist based in New Orleans, LA. It Finally Happened: A 7.1 Gaming Headset Fell Below $20. Will Mpow’s EG3 gaming headset match the sound quality of a HyperX Cloud? Of course not. Do you want fancy LED lights? Try something from Razer. But if you’re on a budget and want to experience 7.1 surround sound (which really helps in games like Fortnite and PUBG), you can’t beat $19. Just clip the $5 coupon on the page, then stack on code MPOWEG3A at checkout. Posted on January 18, 2019 Categories GizmodoTags amazon deals, Deals, from Gizmodo, kinja deals, mpow dealsLeave a comment on It Finally Happened: A 7.1 Gaming Headset Fell Below $20. Twitter shared some unsettling news for Android users today. For more than four years, a bug affecting Twitter’s Android app made some users’ private tweets public. 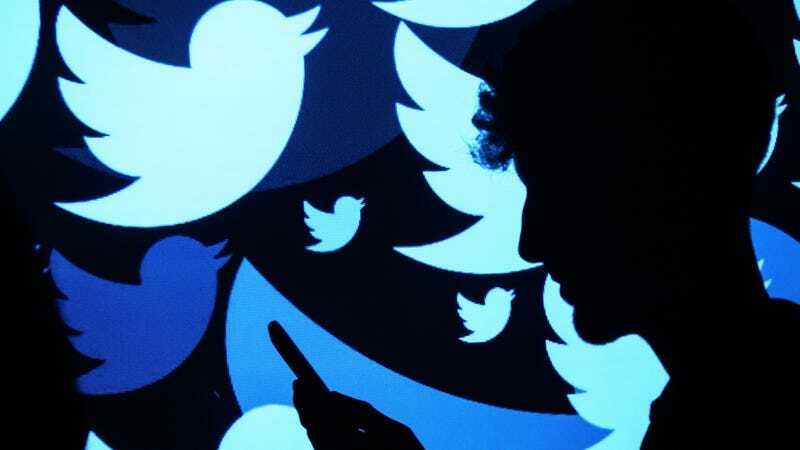 Twitter says the bug was triggered when users turned on the “Protect your Tweets” setting and made seemingly unrelated changes to their accounts, like updating their email addresses. The “Protect your Tweets” setting makes your account private, blocking anyone who does not follow you from seeing your tweets and requiring any new followers to receive your explicit approval. Twitter didn’t provide any additional examples of account changes that could have inadvertently disabled the privacy feature. The company says it fixed the bug days ago, on January 14, but that it has affected users since November 3, 2014. In a blog post on the news, Twitter explained that it had already reached out to users who were affected by the bug, but it warned that it “can’t confirm every account that may have been impacted.” Twitter says it has turned the privacy setting back on for users who had the feature disabled. 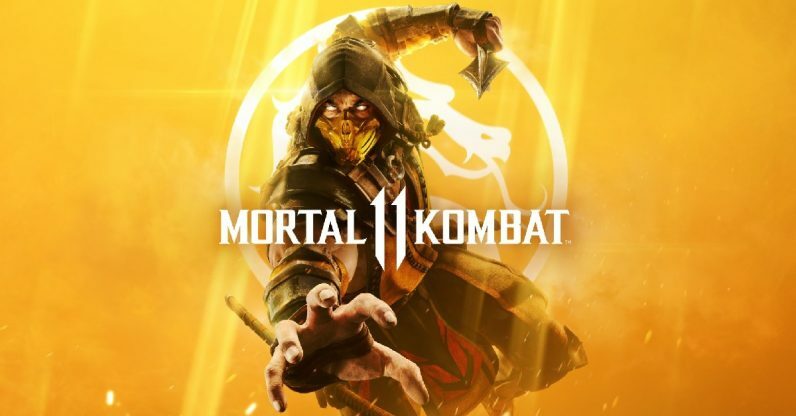 WB Interactive Entertainment today revealed the first gameplay footage of Mortal Kombat 11, the latest installment in the venerated fighting game franchise in a splashy reveal event, and I’m already dreading the continuation of the story. In terms of what you’d expect from Mortal Kombat reveals, the show delivered. The new game looks incredibly gory and weighty, and the team have added such new features as customizable fighters (a feature you might recognize from its embryonic form in Injustice 2). The team both showed off and teased a motley crew of new and returning characters, including Skarlet, a character who finally seems to have figured out what clothes are. Also, Ronda Rousey is apparently replacing Tricia Helfer in the role of Sonya Blade. This is a great role for her, because I saw Rousey in Fast & Furious 7, and as an actress… boy, she’s a hell of a fighter. So, yeah, jolly good and all. Can’t wait to play. But oh dear, I hope this game doesn’t try its hand at a time travel story in an attempt to erase what happened in the last game. Maybe I’m naive, but I’m hoping we avoid that tawdry cliche. Yes I know, it’s a fighting game, so I shouldn’t expect much from the story, yada yada yada. And sure, I don’t go into the average video game dust-up expecting a grandiose literary backstory on the level of The Count of Monte Cristo. But, at least as far as MKX goes, Netherrealm Studios devoted a considerable amount of time and effort into the story — and I actually kinda liked it. Quick *SPOILER* warning: For starters, it didn’t shy away from the downer ending of MK9, making Liu Kang, Kitana, and other heroes from that game major villains instead. It introduced a new generation of fighters so we weren’t looking at the same three or four ninjas. Sure, the story was cheesier than a brie pizza inside a fondue pot, but I found it rather charming at the time. And I appreciate when a franchise at least tries to shake things up. Otherwise, what is Mortal Kombat, besides a succession of progressively more realistic Sub-Zeros and Scorpions spewing more and more syrupy blood at each other? Now it’s looking like the game is desperate to undo that story, and I can already tell this time travel stuff is going to be a headache. It was a headache when it was used to reboot the series at the beginning of MK9, and I see no reason for it to be different now. The reason I’m getting a serious “timey-wimey” vibe from the reveal is primarily the design of the new characters. Tall drink of water Geras (who seems to have the sandman-esque powers of MKX‘s Tremor, strangely) has a time-freezing ability he uses in his X-ray move. Another new addition is a character named “Kronika,” named in the prologue trailer as “The Keeper of Time.” Yeah, if that doesn’t sound like a time-traveling villain in an off-brand episode of the Power Rangers, I don’t know what does. The many new characters from MKX are absent from the proceedings. Also, the characters we do see are looking suspiciously young or refreshed considering their circumstances. Liu Kang and Kung Lao look less undead than they were at the end of the last game. Sonya Blade no longer looks old enough to have a 20-year-old daughter (though that could be because Ronda Rousey is only in her 30s, but still). Baraka returns even though he straight-up died in MKX. The idea that we’re going to just undo everything that happened in the last game, so we can have yet another story line where Liu Kang is good and the new kid characters are erased just feels…cheap. Please please, Mortal Kombat, don’t do that just because you think fans only want to see the old characters. And if you do — well dammit, at least make the fatalies extra gruesome. The current U.S. government shutdown is not good for business, Microsoft president and chief legal officer, Brad Smith said on CNBC’s “Closing Bell” on Thursday. The shutdown, which is approaching one month in length, could affect technology companies like Microsoft that depend on parts of the government for revenue. Smith said it’s too early to say if the shutdown is currently hurting Microsoft, and that the company does work with some agencies that continue to operate through the shutdown. Smith said it’s not helping that companies aren’t able to be approved to go public during the shutdown. “We can debate forever how much damage a closed government will cause to the economy, but there is one thing that is indisputable: it doesn’t help,” Smith said. In recent months Smith has advocated for immigration reform and has suggested that governments begin regulating face recognition. On Thursday, in addition to addressing the government shutdown, Smith talked about how Microsoft has a sense of responsibility in pledging $500 million for affordable housing in the Puget Sound. “We have a strong balance sheet, and we can put it to work,” Smith said.